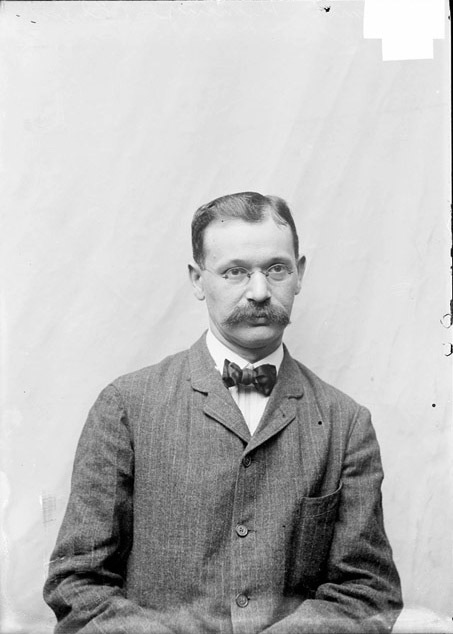 On July 12th, 1902, Emil Kemeny then champion of the Franklin Chess Club of Philadelphia gave a simultaneous exhibition at the Chicago Chess Club, where he played a dozen games against the Chicago players, scoring 6 wins, 2 draws, and 4 lost games. Kemeny also played a couple of off-hand games without clocks against the Chicago Daily Tribune chess editor Sidney P. Johnston at the Chicago Chess Club, losing the first game and drawing the second game. In a few years time, Kemeny would move to Chicago and himself become the editor of the chess column of the Tribune. Emil Kemeny was born in Budapest on January 13, 1860. Walter Penn Shipley described Kemeny in the Philadelphia Inquirer of July 12th 1925 later quoted in the July - August issue of the American Chess Bulletin. "He was tall, standing over six feet in height. Kemeny was genial companion, with a keen sense of humor, well read, spoke several languages fluently and besides being an able chess player was passionately fond of good music." Shipley thought that Kemeny arrived in the United States sometime in 1891, settling in New York, where he played in one of the New York Chess Association tournaments at Skaneateles that year finishing second to James Moore Hanham. Later that same year he played a match Hanham which he lost by a score of 4-5. The next year Kemeny won the New York Chess Association tournament at Skaneateles, Kemeny scored 6 1/2 points over Hanham (6 points) and three other players. By late1892 Kemeny had taken up residence in Philadelphia, where he played in the 1892-1893 Franklin Chess Club championship, which he won (14points) ahead of Walter Penn Shipley (13 points) and eight others.
" Emil Kemeny would in the next three [including 1892-1893 championship] Franklin championships amass an extraordinary record of 50- 7. He would win the championship for the first two years he entered, and no doubt would have won the third event as well, had he not withdrawn either for health reasons or perhaps because he temporarily left the country , after playing 15 games gaining a 13-2 score." All told Kemeny would win the Franklin Club championship three times as well tying for first once, his third win would come in 1899, his tie for first 1900, he would lose the playoff match to Charles John Newman. In 1898 he placed fourth, and in 1901 he finished in third place. He would play in many team tournaments for the Franklin Chess Club as well as matches of Pennsylvania players against players from New York. In 1896, Kemeny would challenge the American champion Jackson Whipps Showalter to match for the title, and though he would lose (4 wins, 7 loses, 4 draws), it was not without a struggle. But perhaps Kemeny's greatest contribution to Philadelphia chess was as Hilbert points out, Kemeny's activity as a chess journalist, he edited the chess column of the Philadelphia Public Ledger, to which he brought"... a level of detail and analysis not before seen in Philadelphia and only rarely, in the writings of Steinitz, seen in the country." (Hilbert, p.99) Kemeny in 1903 would edit and publish The American Chess Weekly and though it lasted but a year, it is still important for it's coverage of the great Monte Carlo tournament for that year, as Kemeny would publish all the games from the tournament. 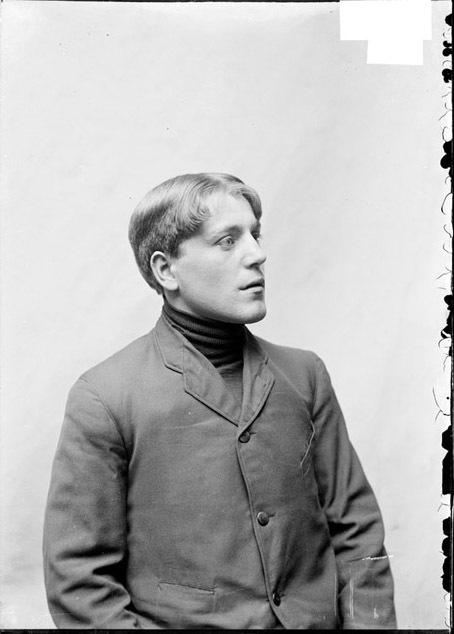 The Chicago Tribune of August 24, 1904, lists Kemeny as one of the Chicago players likely to take part in the upcoming Western Chess and American Chess Congresses in St. Louis, Kemeny must taken up residence in Chicago sometime in the spring or summer of that year. What caused Kemeny to remove himself to Chicago is unclear, he held a position with Pennsylvania Railroad for sometime in Philadelphia, perhaps it was another railroad job that caused the move to Chicago. Kemeny finished forth at the Seventh American Chess Congress in St. Louis, behind Frank Marshall (the winner), Max Judd (2nd), Louis Uedemann (3rd). He finished fifth at the Western Congress behind Stasch Mltotkowski, which was played just before the American congress. The annual tournament for the championship of the Chicago Chess Club did not begin well for Kemeny with a loss in the first round to Parke, but Kemeny then rebounded, winning the remainder of his games, winning the tournament with a score of 18 games won and 1 lost. In second place was J.C. Eppens, neither player would take part in the tournament following year. SDN-002351B, Chicago Daily News negatives collection, Chicago History Museum. 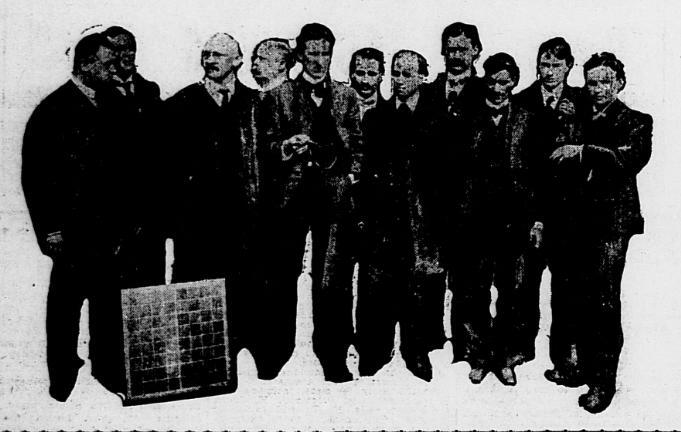 Kemeny took over editorship of the chess column of the Tribune following the death Sidney P. Johnston, who's last column appeared on March 19, 1905 the very day he died. The first column under Kemeny's pen seems to be April 25, where he reports the outcome of the club championship; which Kemeny won, as noted above, Eppens following close behind, finished second. Kemeny seems to have suffered from various health problems throughout his time in Chicago, the annual tournament of the Chicago Chess and Checker Club was again approaching, when the under the pen of Mrs. Frank Lynn,, the Tribune chess column reported that Kemeny would be unable to participate in the tournament. "Emil Kemeny, champion of the Chicago Chess and Checker club, and the chess editor of The Tribune, is slowly convalescing the Cook county hospital after an operation on Nov.3 for appendicitis. He had been in poor health for some time, but the true cause of the trouble was not suspected, and at the time of the operation his condition had become such that little hope was held out for his recovery. A naturally strong constitution enable him to rally, however at the present time he is pronounced practically out of danger, although final recovery may be slow on account of complications arising from the delay in operating." In January 7th chess column, Mrs. Lynn, who took over the Tribune chess column during Kemeny's absence wrote that, Kemeny was slowly recovering, he would not in all likelihood be able to play any serious chess for some time, she also noted that Kemeny's brother, Alexander of Vienna, had recently been in the city. Kemeny resumed the editorship of the chess column on February 25th, but by March 11th he had decided to go back to Budapest to continue his recovery. Louis Uedemann, who had edited the column some years earlier, filled void caused by Kemeny's departure, he would continue to edited the column until his death in 1912. "Emil Kemeny, editor of the chess column The Tribune left Chicago last Sunday on a visit of several months to relatives in his Hungary to seek there complete recovery from his late illness. Mr Kemeny's decision was so quickly arrived at that it was an unpleasant surprise to scores of friends he made in Chicago by his ever genial disposition. It is needless to state that his absence is a great loss to Chicago Chess, and his friends wish to see him back soon, in the full vigor of his best days. On the journey he will stop a few days in New York to have a talk with experts there and particularly with his friend and countrymen, Marcozy, who is seeking a contest with Lasker for the match championship of the world." "Emil Kemeny's Philadelphia and Chicago friends, not having heard from him since his departure for Hungary will be pleased to learn he is again in good health and daily visits the Baross cafe in Budapest. Georg Marco so writes to Walter Penn Shipley, his information coming from Geza Marcozy during the latter's visit to Vienna." On May 1, 1925, Emil Kemeny died in Budapest, he had suffered for over eight months with bronchitis, which led to heart trouble, and finally pneumonia. Although Kemeny's residence in Chicago was of a short duration, he was sorely missed by those who knew him. An Acknowledgment: An invaluable resource for this post particularly for information on Kemeny's residence in Philadelphia was John S. Hilbert's on book Walter Penn Shipley, Hilbert's forthcoming biography on Kemeny is due out this summer, and I am sure will add much to our knowledge of Emil Kemeny.